As a startup, every dime and minute is precious—you want to be as productive as possible. 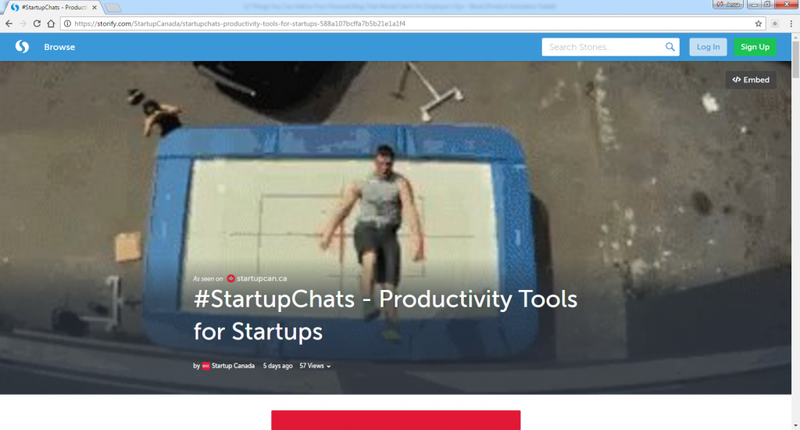 Storify scoured Twitter with the hashtah #StartupChats, and I was mentioned as a potential resource for fellow entrepreneurs and startup founders. My mention stemmed from being a featured guest with this exciting site, which helps direct (largely Canadian) startup founders in the right direction. You should follow #StartupChats, too, to keep up with the latest and greatest no matter where your startup is located. Check out the full article (link below) for more tags and people to follow as well as tools to make entrepreneurial life a little easier. Twitter is one of my favorite platforms because it makes content easy to digest and shareable. Since founders are short on time, it’s a great way to get in, get what we need, and get out. You’ll also want to keep up with #StartupChats to see future guest appearances. Following in the steps of those who came before you is a big time saver, and an approach I highly recommend. Why reinvent the wheel?